I have a friend who would joke that he and his wife had a second child so that they would have spare parts for the first. While he was clearly being silly, there have been cases in the last few years in which parents have decided to have another child in order to save the life of a dying child. In most cases, such as that of the Ayala family, it is hoped that the new sibling can supply bone marrow for the ailing older sibling. While there is certainly much to debate about the ethics of such a situation, last Tuesday the FOX drama “House” threw an entirely new ethical twist into the sibling-saving-sibling quagmire: What if the donor ends up being sicker than the original patient and the only way to make the donor well is by infecting said original patient, ensuring his death? How do you choose one child over the other? In the episode, Matty is all set to give bone marrow to his older brother dying of cancer until the team discovers he has an unknown infection. They urgently try to heal Matty, since they only have a few days to do the marrow transplant–otherwise his brother is too far gone to receive it. But it turns out that Matty’s health is fading just as fast as his brother’s, and if they don’t figure out what is wrong with Matty, both boys will be dead. House decides that the only way to figure out what is killing Matty is to infect his older brother with Matty’s illness since it will identify itself most readily–thanks to the boy’s extremely chemo-compromised immune system. In fact, House talks to the older brother about how this will make his life mean something, seeing as he will be most likely dying at the tender age of 15. The brother agrees, but the parents do not. As so often happens on “House,” the team figures out that Matty has histoplasmosis, a fungal infection picked up from soil containing old chicken droppings, and is able to cure him in a matter of hours. But while Matty is safe, his older brother still faces death because Matty is considered too weak to undergo anesthesia for the excruciatingly painful bone marrow removal process. Dr. Foreman asks Matty if he’s willing to save his brother’s life no matter what the cost, just as his older brother was willing to do for Matty. Matty nods yes, and in a moment of truly terrifying television, Foreman straps the boy to the gurney, takes a very large bore needle and plunges it into the screaming Matty’s leg and chest. In the end, both boys are saved and we get the feeling that the family is happy enough that they aren’t going to sue. 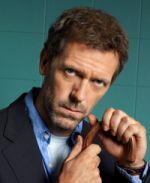 “House” always pushes the ethical envelope, and that’s what makes the show so much fun. House doesn’t care about what’s ethically or morally right, he cares only about the correct diagnoses and cure, about getting it right–much the same way that mathematicians solve a problem. But the audience knows he’s a misanthrope with heart, usually heckling the patient of the week with a twinkle in his eye and begrudging respect. And while we’ve seen House manipulate patients before, he reached new levels of callousness by telling Matty’s brother that he will never experience some of the great moments of life, and therefore should perform one final grand gesture. “It takes a special show to feature characters who torture[s] dogs and children and make you actually like them,” recaps Sara M. at Televisionwithoutpity.com. I usually am amused by House’s “outside the box” behavior, but cajoling children into becoming guinea pigs? That’s truly deplorable bedside manner. Then again, House’s extreme behavior only served to illustrate the change in Foreman, who so readily plunged the syringe into a terrified, non-sedated boy’s leg. It was an action that later so disturbed Foreman, an action that was so “House-like,” that he gave his two-week notice. It proved that Foreman knew though he probably did the right thing, it was not the ethical thing.